From the bestselling author of Trail of Broken Wings comes an epic story of the unrelenting force of love, the power of healing, and the invincible desire to dream. Nothing prepares Jaya, a New York journalist, for the heartbreak of her third miscarriage and the slow unraveling of her marriage in its wake. Desperate to assuage her deep anguish, she decides to go to India to uncover answers to her family’s past. Intoxicated by the sights, smells, and sounds she experiences, Jaya becomes an eager student of the culture. But it is Ravi—her grandmother’s former servant and trusted confidant—who reveals the resilience, struggles, secret love, and tragic fall of Jaya’s pioneering grandmother during the British occupation. 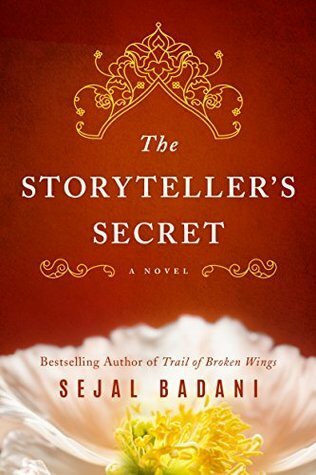 Through her courageous grandmother’s arrestingly romantic and heart-wrenching story, Jaya discovers the legacy bequeathed to her and a strength that, until now, she never knew was possible.